There is no better way to celebrate your baby’s birthday than smash cake! 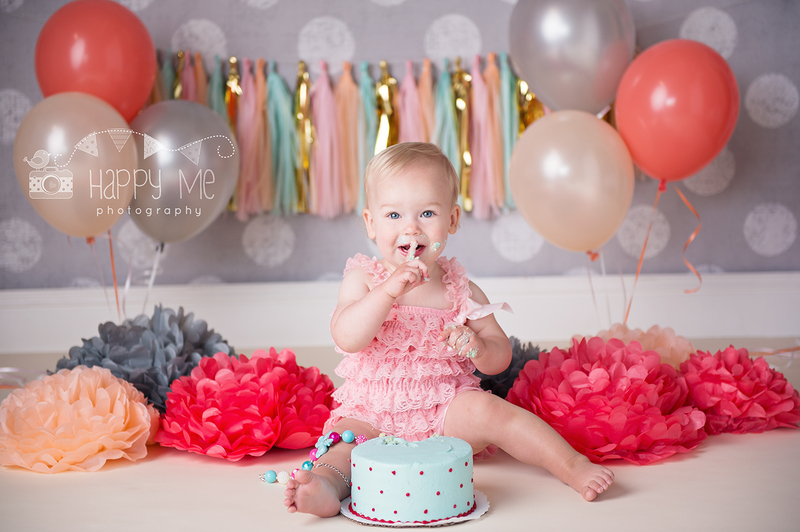 We do cake smash photography for baby’s first birthday’s but also for their second birthday’s. So if you missed out on your baby’s first you have a second chance to celebrate big again! I love to come up with new themes and ideas, your Cake Smash is tailored to your baby’s favourite things so you can have it decorated to match their bedroom and everything they love. These sessions can get very messy so make sure that you bring a spare set of clothes for you and your birthday baby. We have lots of fun during these sessions, a few images of your little one will be taken before the cake comes out so they are familiar with the camera and me. Then the cake comes in and we get smashing! I suggest booking your cake smash session at least seven days before you want your session to take place. We need a minimum of 3 days notice to arrange for the cake and decorations.